We’re closing the year and it’s time to review. This year has been one of the most intense since we started this adventure. Our ambition has always been great; we created Eyesynth with the aim of developing a powerful tool that could change the lives of many people, and we are getting closer and closer to making this possible. 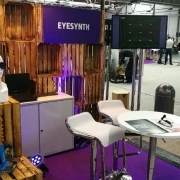 This year the Eyesynths have travelled more than ever: We started the year by presenting the prototype at the CES in Las Vegas, the world’s largest consumer electronics and technology fair; we took them to Naidex in the UK, one of the world’s leading assistive technology fairs. We stopped at the EIC Innovators Summit in Berlin, and we have not stopped presenting our prototype in Spain as well. 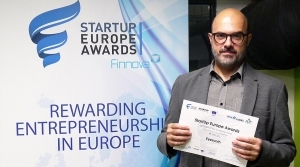 Undoubtedly all this work has been compensated with the recent recognition by the European Commission giving us the award for best Startup in Europe in the Social category. 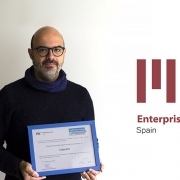 The latest recognitions have come from the MIT Enterprise Forum, which has recognised Eyesynth as the Best Social or Sustainable Company and Globalis Foundation, which has awarded us its annual prize for Innovation. 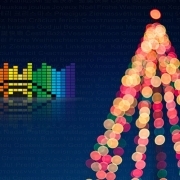 All the members of the Eyesynth team are very proud and grateful for all the support and advice you are giving us, in short, for being part of this community that we are creating with much affection and effort. Thinking of the next 365 days as 365 opportunities to surprise you. We are very pleased to announce that we have received the Globalis Foundation Award, 2018. On this occasion, from Vila-Real (Castellón) we are awarded a prize as a company for our technical innovation and social content. We would like to thank the Jury and the Foundation for their recognition, of which we are very proud. Congratulations to the other winners. We have received the “Best Company in a Social or Sustainable Scope” Award from the “Investors Forum – MIT Enterprise Forum” held in Madrid. We are very grateful for the award, and proud that such an important Institution is echoing our work. Congratulations to the other awarded projects. 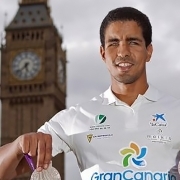 Today we´re excited to announce a new member of our team, Enhamed Enhamed, a Paralympic athlete, medalist, and currently business coach and speaker. Enhamed has an impressive career, with nine Olympic medals in swimming, of which four are gold. He has achieved numerous top level challenges, such as swimming across the Strait of Gibraltar, or completing an Ironman. He currently uses his knowledge and techniques to advise companies and corporations on how to take on new challenges and break down barriers. All these facets, coupled with extensive knowledge of existing assistive technologies, make Enhamed a perfect ally for Eyesynth. His mission will be to test and improve our system in depth: usability, interface and functionalities´ planning. At Eyesynth we are proud of this new signing. November 14, 2018. A memorable date for us. It is the day we received the European Startup Award in the Social category. After passing the regional phase, we remained as finalists representing Spain. And finally, on the 14th we received the coveted prize. It is a huge recognition for us. Our work receives very important visibility and prestige. We are extremely grateful to the Jury, the Organization and the European Commission for this new impulse. We also want to congratulate the Finalists and Winners of the other categories. We are very pleased to announce our partnership with Ortofon AS, the world leader in premium audio electronics. 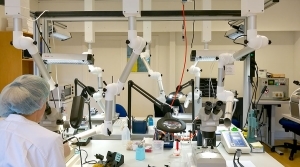 After months of information exchange and preparation of the engineering processes, we traveled to Denmark to take a further step in the quest of excellence for Eyesynth. 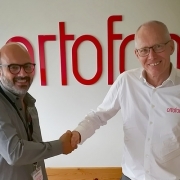 We were pleased to sign a partnership agreement with Ortofon, a pioneering Danish manufacturer in the audio electronics industry. The company has specialized since 1918 in high-precision components (especially high-end turntable capsules) and manufactures the world’s most advanced and refined bone conduction systems, backed by medical studies and patents. 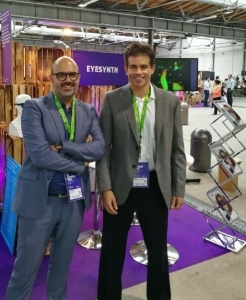 Antonio Quesada, CEO of Eyesynth. Christen H. Nielsen, CEO of Ortofon. Ortofon has therefore designed a special audio device that will be part of the overall Eyesynth system. This device is integrated into the temple of the glasses, employing the use of vibration to transmit sound through the skull with the greatest precision. 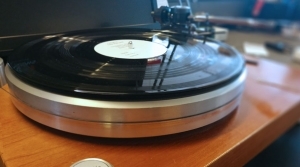 We at Eyesynth are very proud to use the “Audio Powered by Ortofon” label. It’s time to celebrate again! We’ve received the 2017 Company of the Year Award in the Research, Development and Innovation category, awarded by the Periódico Mediterráneo de Castellón newspaper. It’s an honor to have been selected among so many great finalists, so we’d like to thank the newspaper, the Jury, the Institutions and the city of Castellón for awarding us this prestigious award. Thank you! We’d also like to congratulate Baldocer, 2017 Company of the Year, and 720Tec for the award of Young Company of the year. Thank you for a great evening. After our success at the Consumer Electronics Show (CES) in Las Vegas, here we are to share another new achievement with you all: We are nominated for the StartUp Europe Awards (SEUA) 2017! 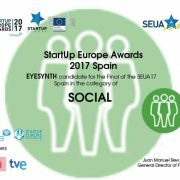 We were chosen to become one of the best StartUps in Europe thanks to the nomination of the European Commission and the Finnova Foundation in the Social category, which has selected us as one of the 17 leading Spanish startups of 2017. 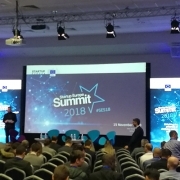 Both organisations have been committed to innovation and effort in each edition, supporting entrepreneurs at local, regional, national and even European level. The SEUAs are one more step on the way to making us known internationally, generating more visibility and awareness about our project. This is certainly an excellent opportunity, as the “Startups Innovation Awards” are fully supported by major bodies, including the European Parliament, the Economic and Social Committee and the Committee of the Regions. We will participate with Kowat, Solatom, Tyris Software, Broomx Technologies, Gamco, Zapiens, Wide Eyes, Plactherm, Bnext, WeTech, Uncovercity, Welegal, Fuvex, Azahar Management and HomySpace. As we always say: We’re still working! This has just begun and we have big events and opportunities ahead of us for these months. We’ll keep you posted on everything. Now, we can only wait for the decision and thank the StartUp Europe Awards 2017 for our nomination. The StartUp Europe Awards (SEUA) 2017 final will take place on 15 October in Sofia (Bulgaria). Naidex: Top Tech in U.K. Here we are once again to update you on our news. 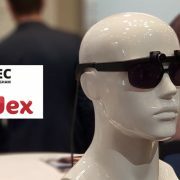 On the 25th and 26th of this month we will have the pleasure and privilege of participating in the Naidex event, the largest and most internationally recognized European event in the field of assistive technology for people with disabilities. Naidex, held in Birmingham, attracts more than 12,000 visitors from around the world each year. This will be its 44th edition and it continues to offer a space of inclusion in which, edition after edition, professionals from the world of health, technology, and tourism come together to present the most innovative products on the global market. There will be more than 300 exhibitors at the event. And we will be one of them, showing our glasses that can improve the lives of many people. We share a lot in common with Naidex, for example their inclusive philosophy that sees the world in a positive way and with an encouraging future for all through inclusion, efficiency, accessibility and empowerment. We are certainly looking forward to the date with great enthusiasm. We´re working hard to offer the best of ourselves, as this is another great opportunity to show our technology outside our borders. We’ll tell you about it when we return from Naidex! https://eyesynth.com/wp-content/uploads/2018/04/Naidex_900x500.jpg 434 781 Eyesynth https://eyesynth.com/wp-content/uploads/2017/05/logo_eyesynth_.png Eyesynth2018-04-03 17:50:462018-04-03 18:03:54Naidex: Top Tech in U.K.